Perfect timing for us! We're just trying to decide when to start training with my newly-2-year-old. I know your tips are going to be very helpful for us. I totally agree about the positive reinforcement and not scolding. It can be frustrating but positive reinforcement just works better and keeps people from being traumatized. Great tips! I think the biggest thing is recognizing when they are ready! My little ones got one M&m each time they went and that really seem to motivate them! This is so interesting and informative! Thank you for putting this together! Eeeekkk I am approaching potty training time with my first one and honestly I am a bit scared! I am definetly going to save this post for reference!! We aren't quite ready for potty training just yet, but I feel like we aren't too far off. I honestly have no idea what to expect with my little one, but these are some really great tips to help with that huge transition! I definitely need to save this post for later. You can do it! We're still keeping an eye on our two year old to determine if she's ready to be potty trained. I agree 100% that the words and tone we use while potty training can completely alter their experience -- working to not call any of it gross or negative, but trying to convey the exciting milestone that it is (but doesn't feel like it in the moment.) When our first daughter was nearing her third birthday we bribed her with salt water taffys ("potty treats") and it was just what she needed to be convinced. Yes! When we ran out of diapers, too bad ;) she had an Elmo potty seed and it was less than a week before she was peeing In the potty all the time. These are great tips! We are circling around the idea of potty training and it is intimidating! These are such great tips! 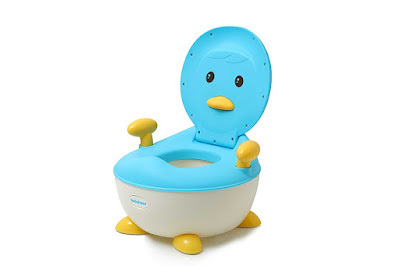 I am super nervous to begin potty training my little guy who is 2, but you are so right in knowing when they are ready! This does avoid stress for us and them. I also love the little potty that you've mentioned in your post. I definitely will be checking it out on Amazon! Thanks so much for sharing! Great Tips! My little one just turned one and I am already starting to prepare myself for potty training lol!